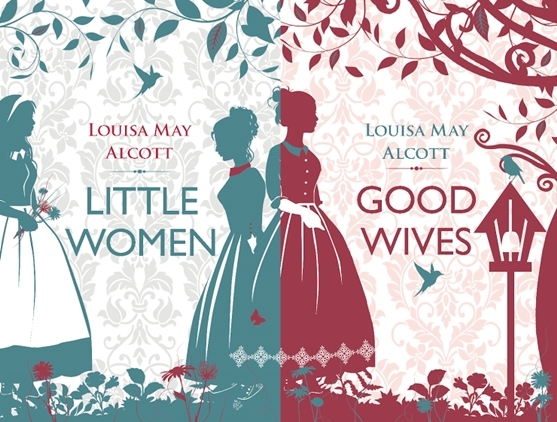 Most books and movies combine Louisa May Alcott's two stories - Little Women and Good Wives into one. My first copy of the book, when I was about ten, did this. 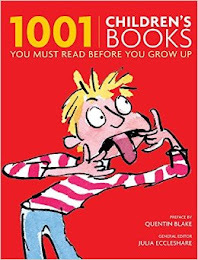 But a couple of years later, I realised that this book was abridged. The language was simplified and the chapters shortened. I was horrified - I suddenly felt like I'd missed half the story! Mum had her childhood copies of Good Wives and Jo's Boys, but not the other two books. It became my mission in life to hunt down a full unabridged version of Little Women and Little Men. A number of years ago I picked up an unabridged Folio Society copy of Little Women. I have waited and waited for a Folio Society edition of all four books to be released. To no avail. This week I gave up and found these lovely paperback editions instead. The covers were designed by ninataradesign.com and I love how they complement the stories inside so well. They also contain extra author and character information in the back. Good Wives picks up the story of the March girls a few years after Brooke's proposal to Meg. The March family is in a gentle flurry of wedding preparations. The girls are growing up and beginning to taste the joys and labours of independence. Mr March always feels like a shadowy non-presence to me in this book. It makes me curious to know more about Alcott's relationship with her own father - the story version suggests ambivalence at best. It's hard to remember how I felt when I read these books for the first time. I do remember being very upset for Jo that she missed out on the trip to Europe. I hadn't forgotten (or really forgiven) Amy's burning of Jo's book, so her acceptance of the European trip just added another little growl of discontent at her character. Her childhood selfishness had turned into adult self-interest. Even, yes, as I acknowledged that Jo had done herself no favours in her treatment of her Aunts. I was completely surprised by the whole Professor Bhaer thing when I was a child, but then romance of any kind was not something I looked for or expected. I didn't want Meg to get married and I most certainly did not want Jo and Laurie to get married. It would have been like marrying your own brother! I feel restless and anxious to be seeing, doing and learning more than I am. I brood too much over my own small affairs, and I need stirring up. That could so easily be my life's refrain! Good Wives is a more mature read than Little Women, reflecting the becoming-adult themes of the girls. It's ripe with births, deaths and marriages. The natural joys and sorrows of lives well-lived. Comings and goings and personal freedom versus familial duty are all explored by Alcott. Gainful employment, purpose and sensibility rule the lives of the March family. It's hard not to admire these girls and to feel a better person for having walked a small way in their shoes. Their goodness may stick in your craw sometimes, but I was always able to put it down to the different times they lived in. Perhaps, if I had lived during that time, in that family, I too, could have been that good! I am now planning to continue on with Little Men and Jo's Boy's throughout March. If you'd like to join me, just say so below in the comments. 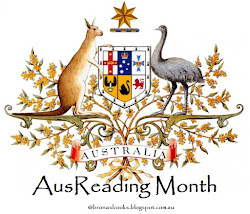 Thank you to Suey, Kami and Jenni for hosting another fabulous readalong. I can't wait to see what classic they tackle next! 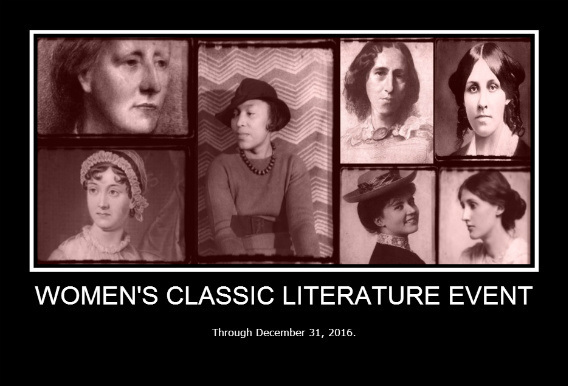 This post is part of my Women's Classic Literature Challenge. These editions of the books are lovely! I agree that there is a lot to admire about the March family. I do like to collect lovely covers of my favourite books. I've always wanted to read more of the books. My book club is reading Little Women for March, I'm planing on reading the rest of the books after I reread Little Women. 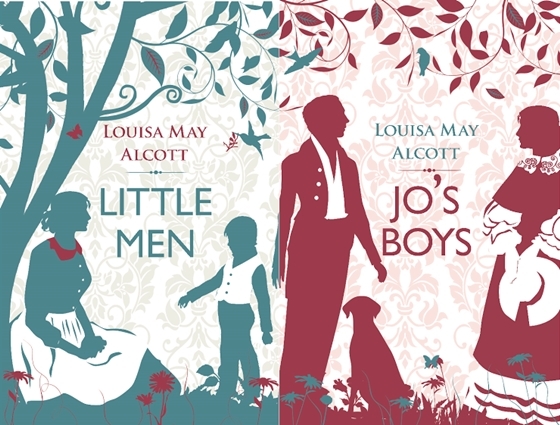 Oh I love the covers on these!And definitely will have to get a copy of Little Men and Jo's Boys :)I'm enjoying seeing everyone's take on the story so far. It was years before I realized Little Women was originally two books, and I've still never seen them in separate volumes! So I always get confused when people talk about the four books - I wonder for a minute if I missed one. Apparently the 2 book thing was a UK publishers idea, not Alcotts. Which is probably why you don't always find the 2 books separated out in the US. 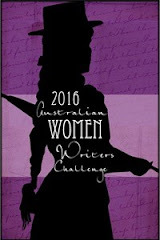 I did a check and Alcott wrote LW in 1868. She then wrote the follow up in 1869. By 1880 the books were being published together in the US. LM was published 1871 & JB was published in 1886 just before she died. Great post! I love the covers on those books! The Barnes and Noble Classics edition I have has the whole unabridged thing. I didn't know that each part was a separate book! I learned a lot from your post. Thanks! 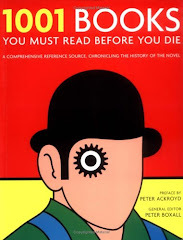 I still have my copies of these books, all given to me as gifts in my 10th and 11th years. I have read them and re-read them. 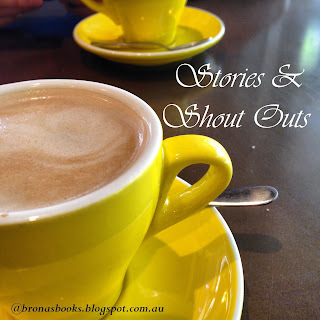 I recently read a book about LM Alcott's life - I wish I could remember what it was. Her childhood wasn't easy, as I recall. No wonder she crafter such a rich, fictional family life. The little I know suggests that the poverty that Alcott grew up in was far from the genteel experience of the March's. I've never heard of this book. Thanks for bringing it to my attention! I absolutely love the cover designs on these! These books were not part of my childhood. So touching to hear your memories of these books. 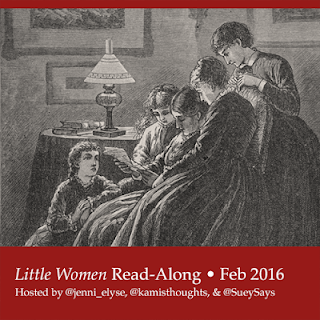 I read Little Women in 2012 (kicking and screaming)...and enjoyed it once the girls reached adulthood. I have thought long an hard but cannot remember one book I read cozy with my mother! She let me just discover books alone...and am glad I did! I don't remember reading with my mum either & if she suggested something to me I would have probably rejected it. But I quietly raided her bookshelves on a regular basis! I've fallen a bit behind in the readalong and probably won't finish the book before the end of the month. I have to say that so far, I like the part where the girls are together a little better than the part where they all go out into the world. Although that might have to do with the fact that I found the part about Meg's married life a bit boring. Thankfully, it picked up again with Amy's and Jo's "adventures." I'm curious to see how you like Little Men and Jo's Boys. I've read them both several times before during my childhood, but it's been over 30 yrs since then! So I do wonder what I will think of them. I didn't enjoy them as much as the first two books, as the girls were all grown up with families and they no longer seemed so familiar or relevant to my child view of the world. It will be an interesting reread. I really like the covers of the books you found. As this is my first time reading either Little Women or Good Wives, I'm kind of wishing that LMA has just left it at Little Women. I don't know if I'll feel differently when I finish Good Wives. We'll see. Maybe, I'll even want to read the other two afterward.